Incredibly pest resistant – woodpeckers hate it. Made from 67% recycled materials and is a 100% renewable resource. Rugged paint finishes guaranteed against fading, chalking or peeling for up to 20 – 50 years. No rotting or twisted boards, and easy to install. Seamless, coast-to-coast job site delivery within days after placing your order. Cut to length. Lengths available up to 40′. 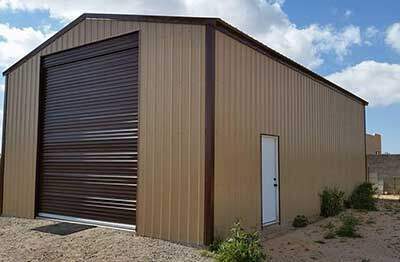 Metal siding is the smart exterior finish for your home, barn, shed or storage building. 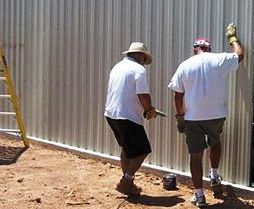 Absolute Steel offers you the widest selection colors in metal siding. From roofing to siding, the Multi-Purpose panel does it all. This is the panel that is used for the roof of many of our carport and garage kits, on wood-framed structures, and many commercial buildings. Looks great installed horizontally or vertically! If you are looking for a very high quality steel roofing panel, our Premium 5-Rib profile may be your answer. Premium 5-Rib panels, with clean traditional lines, are manufactured from the highest quality structural steel available, and carry a bullet-proof warranty. 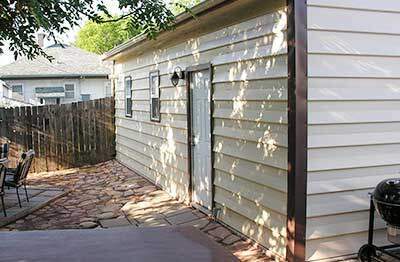 If you want the horizontal shiplap siding look, then the GrandBeam panel is your answer. 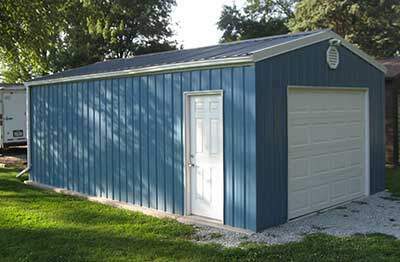 Can any panel be used as metal siding? Not really. 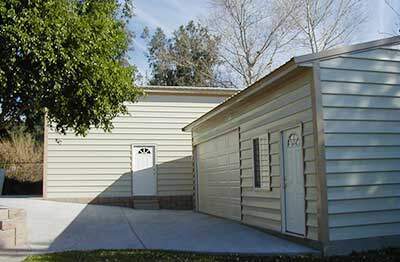 There are some metal roofing panels that don’t work well for siding, and for various reasons. Just ask us if not sure. Which panels work well for metal roofing? General Rule: Any of the exposed fastener panels work well for siding. Do you have a minimum order for free shipping? Yes, minimum panel order is 600 square feet. Can I get color-coordinated screws with my order? YES! Just ask us! Can I read more about metal siding? 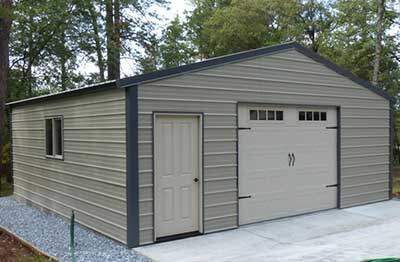 Yes, click here for an article in our blog that gives more information on selecting a metal siding. The most popular panel applications are horizontal and vertical. Most exposed fastener panel types are used in both the vertical and horizontal applications. We have even had customers install the panels on a diagonal for an architectural effect. use a separate contractor for the installation?